Slavic Archers (female warriors for SAGA). 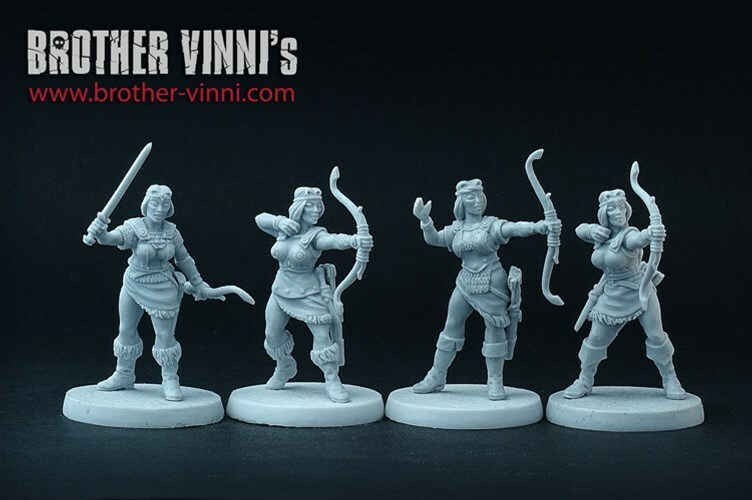 This set of 4 high-quality resin miniatures depicts fantasy slavic-style women armed with bows. This set would be a good addition for any SAGA warband or just for playing fantasy wargames. Miniatures designed and casted by Brother Vinni's studio.